Upon receiving his first taste of acting at Illinois State, John Malkovich dropped out of college in 1976, and formed Chicago's Steppenwolf Theater Company with friend-of-a-friend Gary Sinise. In 1984, with his debut in The Killing Fields -- and follow-up that same year in Places in the Heart -- Malkovich immediately established a bright future in Hollywood. His role in the latter film earned him an Oscar nomination for Best Supporting Actor, an honor he would again receive for 1993's In the Line of Fire. 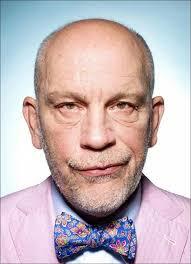 Adept at playing cold and calculating characters, Malkovich starred in Rounders and Man in the Iron Mask.